Many investors hear the word “leverage” and immediately get nervous—but the truth is, borrowed cash is actually vital to big closed-end fund (CEF) returns. I’ll show you why—and how a huge misunderstanding about leverage will lead to big gains for CEFs this year—in a moment. Before we get to that, though, we need to understand why this one simple word sends investors into a cold sweat in the first place. 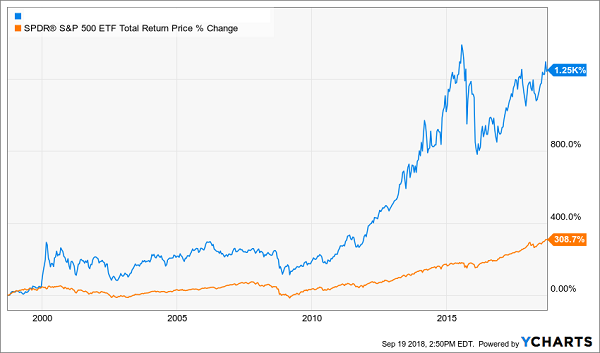 The cloud hanging over leverage stretches back to the crash of 1929, and tales of stockbrokers who borrowed too much cash before the collapse and then leaped out their office windows. This piece of investing folklore has had a long shelf life on Wall Street. But that was 90 years ago: today, blow-ups due to overleverage are rare, thanks to regulation, a smarter market and tons of research. You can also make leverage safer by combining variable- and fixed-rate loans. And you can add even more safety by hedging through derivatives (even though “derivatives” is yet another word that makes many folks quake). 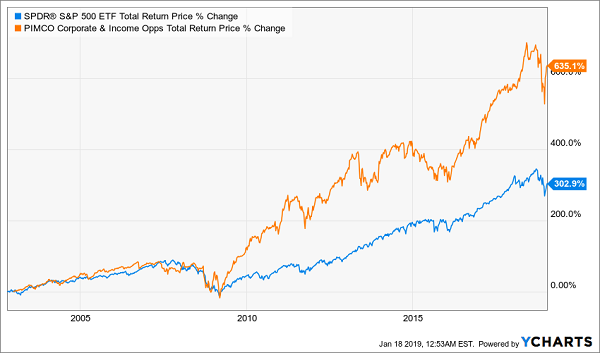 This is exactly what the most successful closed-end fund (CEF) of our time, the PIMCO Corporate & Income Opportunities Fund (PTY), has pulled off, thanks to PIMCO’s vast resources of data and exclusive market access. 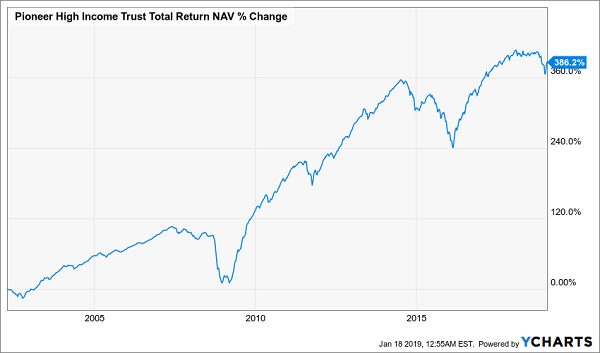 This comeback—and the all-time highs PHT’s NAV hit in 2017 and 2018— is even more impressive when you consider the context around these returns. 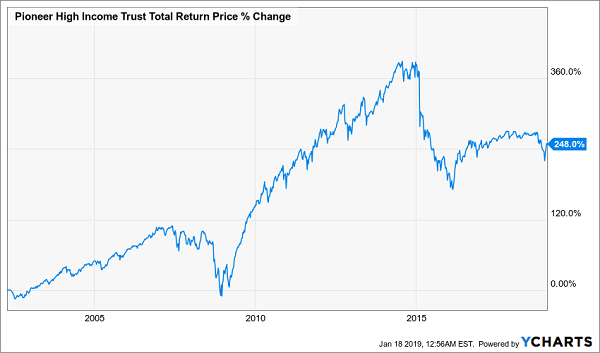 As you’re likely aware, the Federal Reserve has been raising interest rates since the end of 2015, culminating in multiple hikes last year that were a big reason why the market turned in a negative performance in 2018. But there’s more to the story when it comes to CEFs. 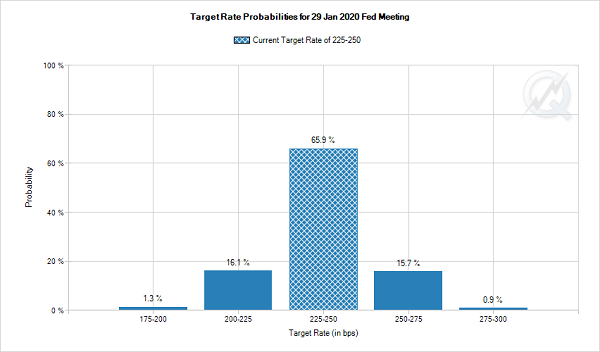 When the Fed increases its interest-rate target, the LIBOR will often respond by rising proportionally. What’s LIBOR? The acronym stands for the “London interbank offered rate,” and it’s an interest-rate benchmark banks use to see how much they should charge other banks to borrow money. It’s also an important benchmark for levered CEFs, because the rates they pay on their borrowings are tied to LIBOR. 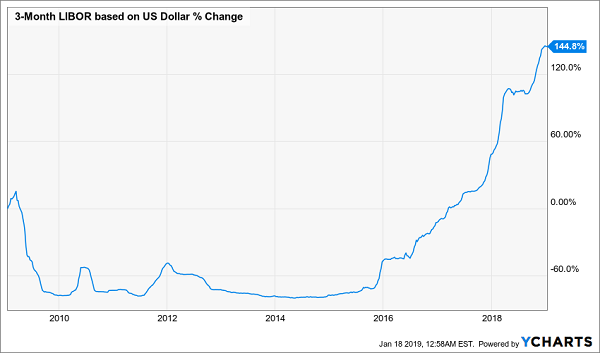 Following the subprime mortgage crisis and the Fed’s rate cuts, LIBOR stayed pegged at around zero until late 2015, when the Fed’s hikes started sending the rate higher. Then it exploded in 2016 and thereafter, as the Fed raised rates faster and faster. The effect for CEFs was simple: borrowing money got more expensive, to the point where the cost has increased by 145% from a decade ago. This caused many investors in 2015 and 2016 to panic and sell off CEFs, due to a simple overreaction. As you can see, as long as a CEF’s return on the capital it’s borrowing exceeds its borrowing costs, it’s earning a profit off of these loans. Here I’m assuming 7% overall returns, which is average for equity and taxable-bond CEFs over the last decade (and far below what many have achieved). In other words, even if borrowing money isn’t as lucrative as it used to be, it’s still lucrative. But things are about to get better. No Rate Hikes This Year? 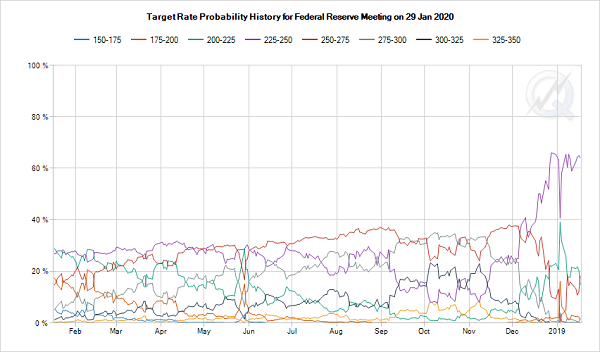 That purple line is our current rate target, and it had less than a 20% probability of being the target rate at the end of 2019, until its recent spike. What does this mean for CEFs? Simply put, borrowing costs aren’t expected to rise at all in 2019, although the returns these funds get from either stocks or bonds are going up, thanks to 2019’s already-strong markets. And that means CEF buyers are looking at a terrific opportunity. And you know me: I’ve got just the CEFs you need to take advantage of this terrific opportunity—no less than 18 of them! 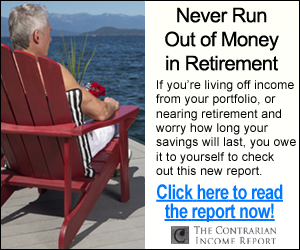 As a group, these 18 retirement lifesavers throw off an incredible 8.5% dividend! So a $500,000 investment in my “average” fund would hand you $42,500 in dividend income this year alone. They’re the 18 buy recommendations in my CEF Insider service’s portfolio—and I’m ready to GIVE you instant access to all of them right now. All you have to do is “kick the tires” on CEF Insider today with no risk and no commitment whatsoever. And remember, that 8.5% dividend is just an average. One of these blockbuster funds yields an amazing 10.7% Another? 11.7%! Better yet, most of these dynamic CEFs pay dividends monthly—so there’s no more waiting 3 full months for your next payout! When you start your no-risk CEF Insider trial, you also receive a FREE Special Report revealing my top 5 CEF buys for 2019. These CEFs truly are the best of the best: your go-to picks for reliable income and blockbuster upside: I’m forecasting 20%+ price gains in 2019 alone, thanks to the ridiculous discounts they’re trading at right now. And with just a couple more clicks, the name of this fund, plus the 18 CEFs throwing off an amazing 8.5% dividend and my 5 very best CEF buys for 2019 can all be yours. Don’t miss out. 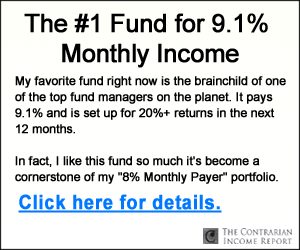 Click here to get your Special Report and full details—names, ticker symbols and my complete research—on this basket of 18 potent 8%+ income plays now!